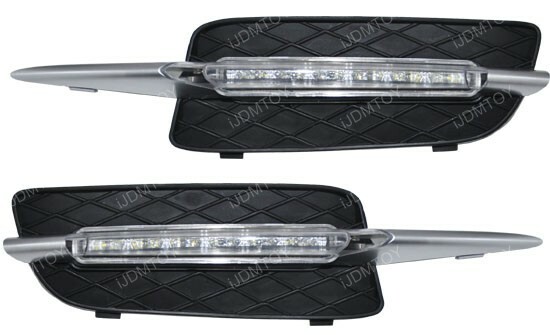 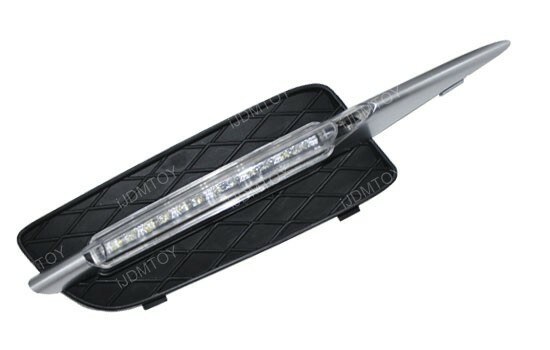 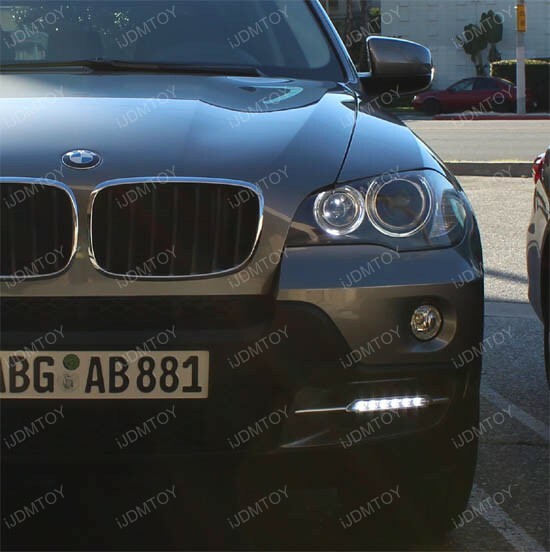 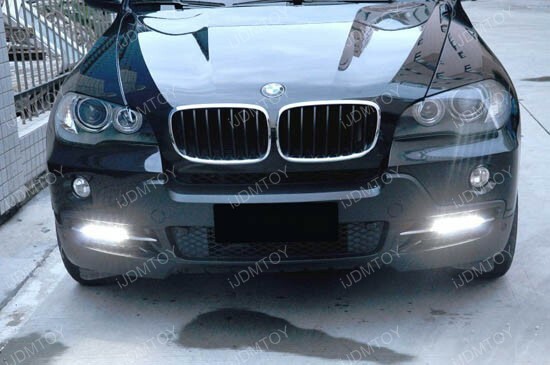 This page features one set of xenon white 6-LED high power LED daytime running light lamps direct fit for 2007-2010 BMW E70 X5. 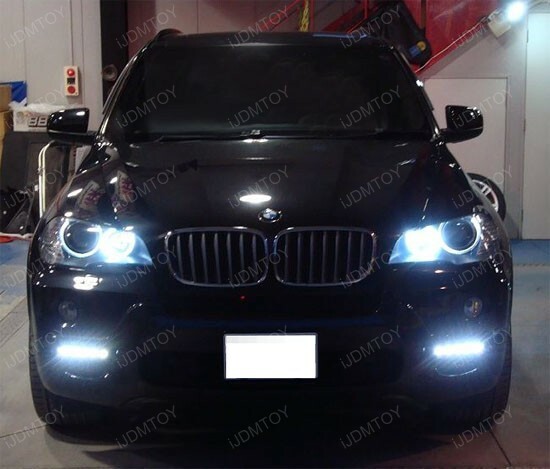 These high power LED daytime running lights are a direct clip on to BMW X5's front bumper with no modification needed for this installation process. 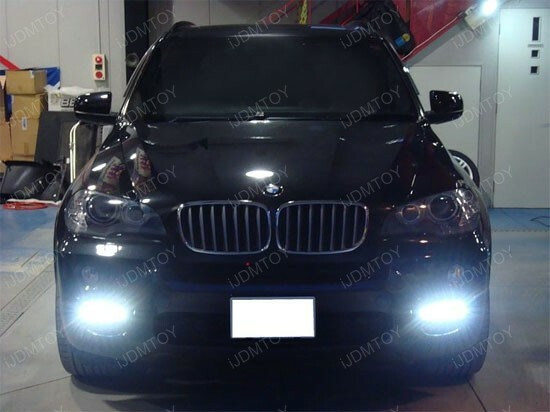 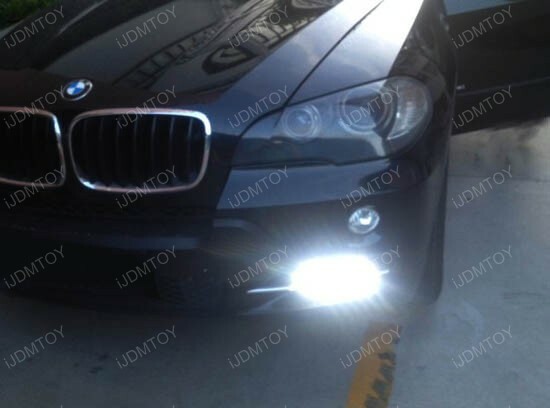 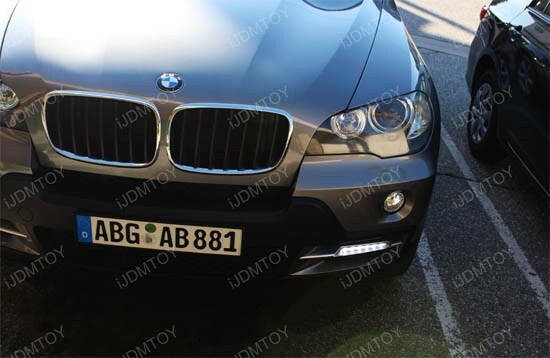 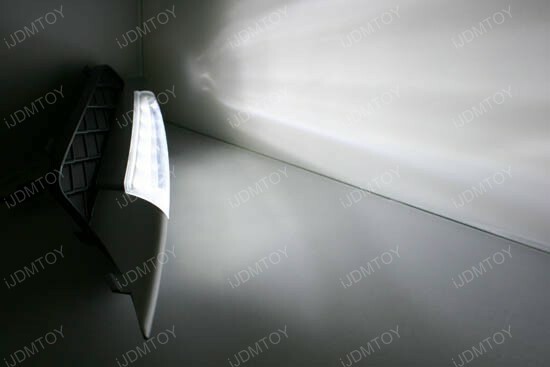 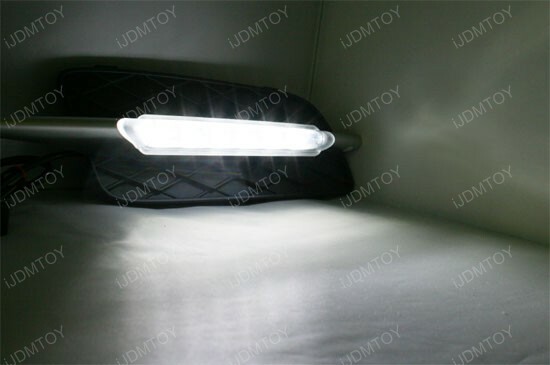 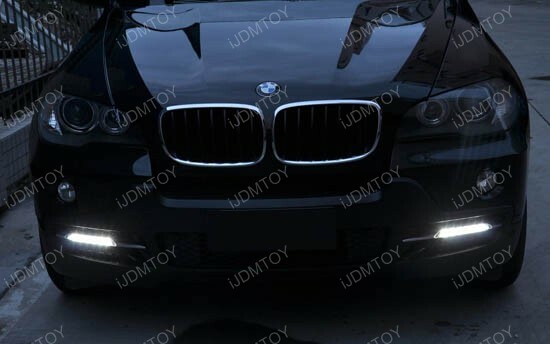 OMG, I really love this high power LED DRL kit for my 2009 BMW X5. 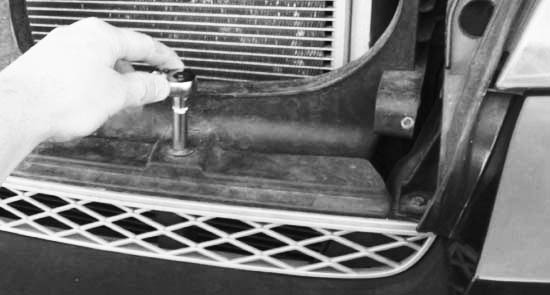 The installation is much easier than I thought before I got them. 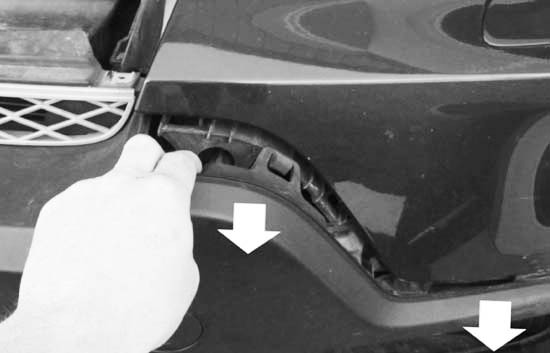 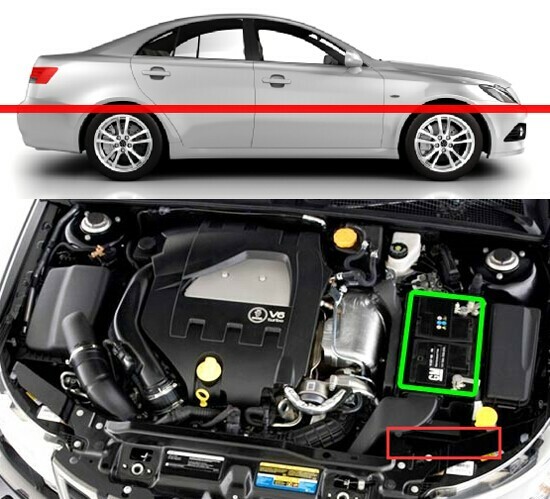 Since the the original covers can be directly removed without taking off the bumper so the entire installation took me only 30 mins. 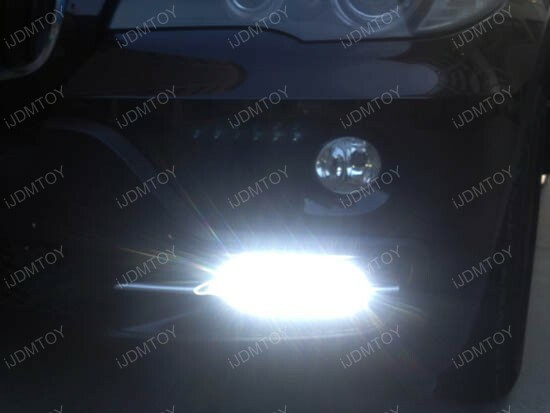 The daytime running light LED looks just amazing no matter at day time and night. 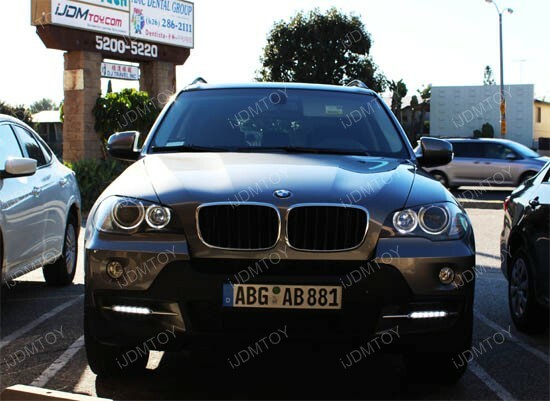 Truly high quality and I will recommend this to any one with the pre-facelift BMW X5.